Ohad Ben-Ari’s career has begun when he was 12 years old with performances as a soloist with the Israeli Philharmonic Orchestra and the Israeli Chamber Orchestra, many other solo and chamber music performances followed as a result. Having studied piano and composition at the Tel-Aviv University, Ohad has won numerous top prizes at international competitions, among them the ARD Competition and the coveted Arthur Rubinstein Master Competition. Since 2010, Ohad Ben-Ari resides with his family in Berlin, where he continues his extensive work as a pianist and a composer. He has also served as the artistic director of the Rolandseck Chamber Music Festival between 2011 and 2016 and founded the ID Festival Berlin in 2014. That same year, a debut solo performance of H.W. Henze’s “Requiem” took place with the Berlin Philharmonic Orchestra, under the baton of Sir Simon Rattle. 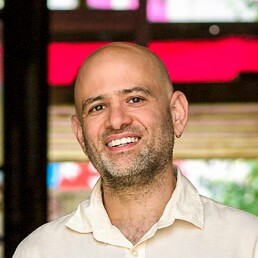 Ohad Ben-Ari’s compositions and transcriptions are performed world-wide by leading musicians. Aside from his work in the field of classical music, Ohad had also experiences in music production across different musical genres. He has practiced yoga for the past 15 years and has a keen interest in philosophy and spirituality.